Electronics Costs > How Much Does Aaptiv Cost? How Much Does Aaptiv Cost? 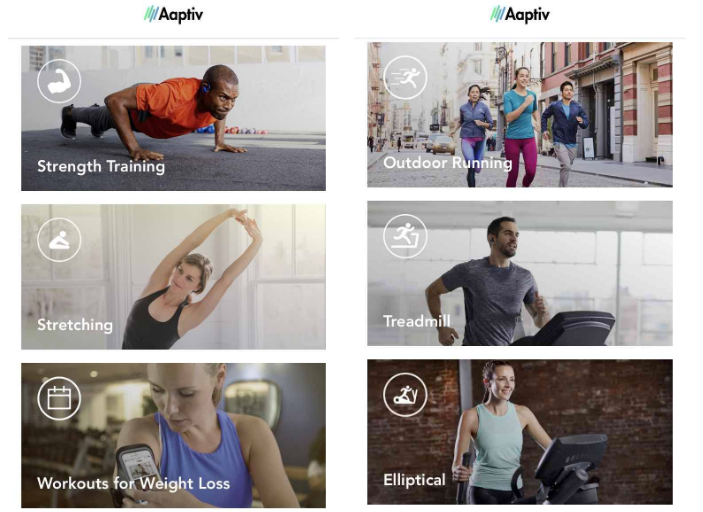 Aaptiv, the #1 audio fitness workout app, formerly known as Skylift, offers unlimited access to thousands of workouts and programs, all created and designed by world-class certified trainers. How much does an Aaptiv subscription cost? As per the company’s official FAQ, Aaptiv offers three premium options: a monthly option, which costs $14.99 every month and renews automatically, a three-month option, which costs $9.99 a month, and an annual membership, which is $99.99, a 45% savings, and renews every year unless canceled. All new members who sign up for a yearly subscription do receive a free 30-day trial, meaning you can cancel before your 30 days expire to receive a full refund. This price, however, can fluctuate if you’re able to find a discount, coupon/promo code or happen to sign up during one the company’s specials. Members can also gift others for a discount. What’s included in the premium version? A perfect workout, according to the company, is available in three simple steps. First, the app will ask you to enter your goals to find the programs and workouts you will enjoy while you lose weight. Secondly, you will then choose a workout based on the duration, music, and trainer, to name a few that you’re comfortable with. Lastly, once you find the workout that works best for your personal tastes, you simply plug in your headphones and let the trainers guide you to success. The app alone works on audio only, not visuals. They figure the audio-based instruction and musical inspiration will help you move freely, focus on your form and allow you to enjoy your surroundings while working out. These were the classes as of today and are subject to change. We just listed the classes we saw to offer you an idea as to what you can expect if you download and pay for the app. Via the official iTunes store, 32,000+ members gave the app a 4.8/5 star, making it the #21 most popular app in the health and fitness category, with most of the positive reviewers talking about how great and motivating the trainers are and the lack of visual workouts, making it a unique experience that’s quite enjoyable. Brett Williams at Men’s Health said he had a good time using the app and it was able to push him out of routine; however, in the end, he only saw the app as a supplement to his own routine. He did note, though, that it was worth it for those who wanted to imagine themselves in an expensive group training session. Close to 7,000+ members on Google Play gave the app an overall 3.5 out of 5-star rating, with some complaining about the price tag, but the majority did note they enjoyed the dynamic workouts and the massive selection.